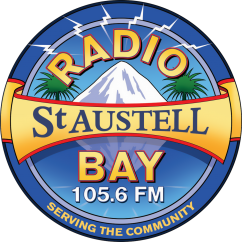 RSAB is the community radio station for St Austell, in Cornwall. We are run entirely by a small team of dedicated volunteers, and work very closely with local businesses to provide St Austell with a quality local, local radio station. The station is run by station manager Sheila Vanloo and a team of eager volunteers, we're always interested in hearing from people wishing to support us, or to get involved - the more the merrier! You can contact our volunteering team here to see how you can help!